Zakir Husain is one of the few colleges which offers Bengali at the BA (Hons.) and BA levels. Although it is a relatively small department, the faculty possesses extremely conscientious and inspiring teachers who have succeeded in kindling an interest in Bengali language amongst students. 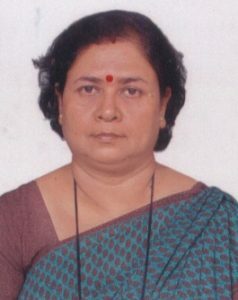 The department brings out a journal in Bengali called the “Zakir Husain College Patrika"
This year, the 4th Annual Dr. Gopa Dey Memorial Lecture on the topic “The other woman in women’s writing” was delivered by eminent scholar Dr. Shubha Dasgupta. Mr. Bimal Kumar Dey, husband of Late Dr. Gopa Dey, handed over ‘Dr. Gopa Dey Memoral Award’ of Rs 8000/- under various categories to eight students of Bengali (Hons.) for their academic excellence. 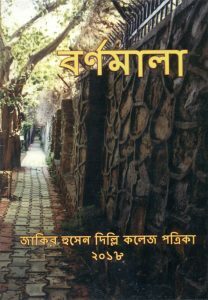 The Bengali Literary Society published its annual Journal “BARNOMALA”.